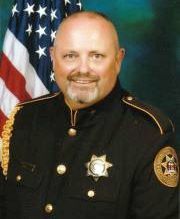 Oconee County Incumbents, Sheriff Scott Berry and Chairman Melvin Davis, are touting their experience as reason for re-election. Other counties are experiencing the same phenomenon. ��.. . Unfortunately for the reading public, local officials are frequently friendly with the Local Weekly Papers. Seldom does anything negative get published. It can be a �you scratch my back and I will scratch yours�. Favors are reciprocated. Note the frequent articles appearing in stories in recent weeks about the Oconee County Incumbents. They are often written by a friend and seldom �dig into the real facts�. Some are not real news. That longtime experience led me to establish AVOC, Another Voice for Oconee County. One advantage to living into your eighth decade is that you remember a lot of events. Growing up in Oconee County, I remember Commission Chairman Frank Norris and Sheriff Jerry Bond from the 40’s. I remember when they were defeated. Since then I have observed many different people come and go in those offices. Oconee County Incumbents, Sheriff Scott Berry and Chairman Melvin Davis, are touting their experience as reason for re-election. Other counties are experiencing the same phenomenon. Greene County Sheriff Chris Houston and BOC Chairman Dene Channell are also touting their experience. I remember many different incumbents in those offices over the decade. One’s record is a fair subject for discussion but if experience was a requisite, we would never change officials at the ballot box! Unfortunately for the reading public, local officials are frequently friendly with the Local Weekly Papers. Seldom does anything negative get published. It can be a ‘you scratch my back and I will scratch yours’. Favors are reciprocated. Note the frequent articles appearing in stories in recent weeks about the Oconee County Incumbents. They are often written by a friend and seldom “dig into the real facts”. Some are not real news. That longtime experience led me to establish AVOC, Another Voice for Oconee County. I felt the public needed more than public relations pieces and press releases. On the whole, the current challengers for Sheriff and Commission Chair are as experienced or more so than candidates were in the past. When Commission Chair Melvin Davis was first elected, he had never held public office. He even pledged to make the job part-time and delegate to a County Manager. Apparently, experience changed his mind. 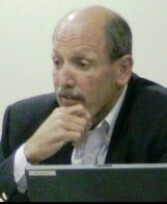 Melvin Davis at County Budget Hearing on 4.11.11 - Never held elective office when first elected. Challenger Chuck Horton has far more experience than did Mr. Davis. Mr. Horton served on the School Board for eight years- four as Chairman. He has served as a commissioner for 8 years for a total of 16 years as an elected official in Oconee County. Sheriff Berry had no elective experience as a 32 year old investigator when he was first elected. His 1992 campaign themes were: Concerned- Competent-Committed. His experience was listed as jailer, dispatcher, patrolman & investigator. A longtime friend of my age era commented that Challenger Trey Downs has more professional experience than any candidate for Oconee County Sheriff in his lifetime. Informed voters should look at those reports and see who supports whom. If out of county businesses and individuals are investing in our officials campaigns, it may be an area of concern. Lee Becker has made available video clips of the forum presentations by candidates. They are well worth watching. Kate McDaniel took a lot of pictures. Close observers can figure who some of her candidates are but she shows a lot of other folks in her pictures.